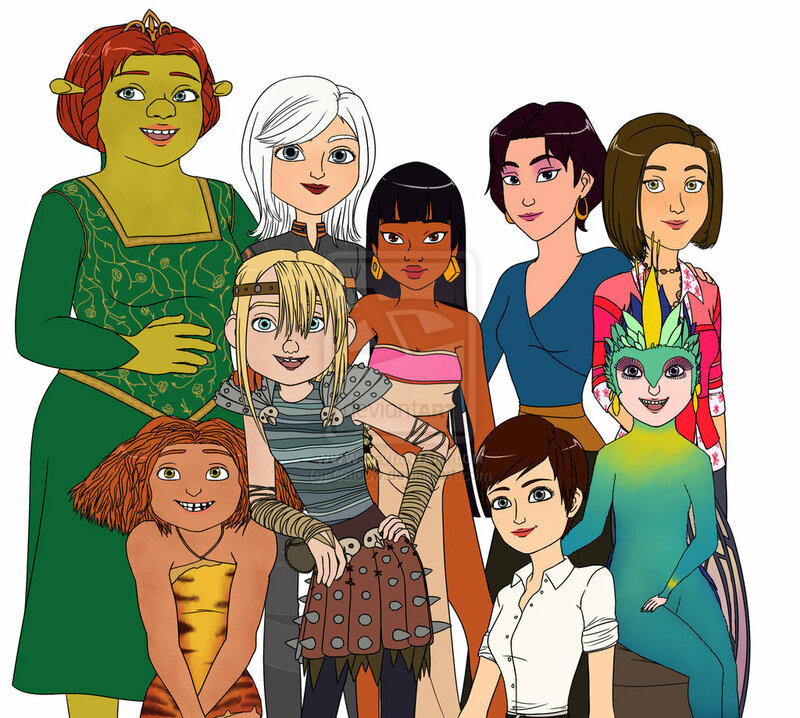 Dreamworks heroines. Fiona, Susan, Chel, Marina, Vanessa, Eep, Astrid, Roxanne, Toothiana. HD Wallpaper and background images in the héroïnes des dessins animés de l’enfance club tagged: dreamworks heroines fiona marina chel non disney.